There can be little argument that politics just got a whole lot more interesting. 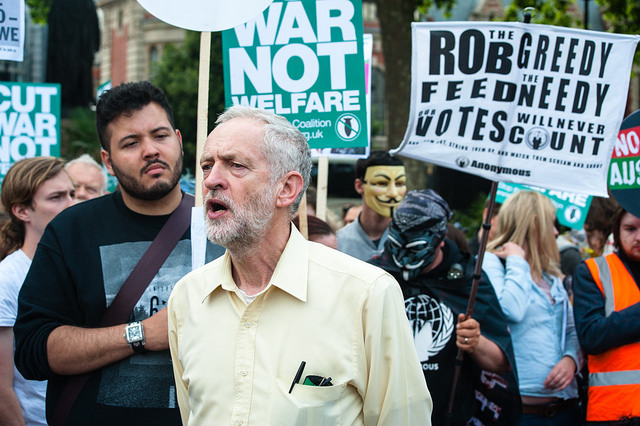 While we’ve been discussing – indeed anticipating – a Jeremy Corbyn win in the Labour leadership election for several weeks now, it was all tinged with an air of unreality. Now he’s been elected. The situation is still tinged with an air of unreality, but that will pass. Reality will intrude soon enough. Lots of people appear to have been inspired by JC’s victory. There are reports of 15,000 new members for Labour in the half day following the declaration of the results. From my Twitter timeline it would appear this includes several people returning to the fold, having given up on Labour under Blair/Brown/Miliband, as well as those joining the party – any political party – for the first time. Comment on social media and in the mainstream media indicates that some people are re-engaging with optimism, accompanied by a clear sense of realism at the challenges facing the Labour party under any leader committed to reorienting the party to the left. But the optimism evident elsewhere seems rather more touchingly naive. JC will be able to bend the world to his vision. That’s a function of getting people to engage with politics for the first time, I guess. They have yet to discover the constraints, compromises and disappointments of the realpolitik of, well, real politics. Yet at the heart of all that optimism is something important. There are plenty of people crying out for some genuine opposition to the Conservatives. Miliband Labour, for all its portrayal in the media as being unreasoningly and unrealistically left wing, rarely took a principled stand against the Coalition when it mattered. That was in part because the Conservatives were simply strategically so much more adept. They managed so often to frame the narrative and box Labour into a corner. Labour got tangled up in its own attempts to triangulate. In the end no one knew whether the party stood for anything distinctive. A Corbyn-led Labour party is clearly going to be a very different proposition. One of his assets in the leadership campaign was that he knows what he believes and he is not afraid to both articulate and defend it. This made his opponents for the leadership – who were much more used to trying to calibrate and recalibrate their positions to their sense of broader opinion and changes in the political weather – look a bit lacklustre and uninspiring in comparison. The tactics the Conservatives used to befuddle Miliband’s Labour – by styling it as soft on welfare, anti-big business, the friend of immigrants, etc – are not going to work on Corbyn because he would most probably not dispute these characteristics. Indeed, he has spent 30 years protesting and standing up for those he perceives to be downtrodden. You wouldn’t expect him to change now. It is clear that the revised Conservative tactic is go for JC as a risk to security – national, economic and for every family. In a context where fear for the future, fear of the future, fear of the unknown, fear of the other are all too common it is a tactic that may well work. The fear of the prospect of a Miliband Labour supported by the SNP was enough to get voters to swing behind the Conservatives, crushing the Liberal Democrats in the process. I would imagine CCHQ are thinking that their job has got a whole lot easier. JC gives them plenty of material to work with if, as they surely are, they are going to negative. But it is always possible that the Conservatives will overplay their hand. The media seem to have fallen in line with the CCHQ narrative that George Osborne has successfully steered the party to the capture the middle ground. Yet, if we look beyond the narrative and examine actions not words such claims are pretty laughable. The substance of policy continues to be radically right wing. In today’s Sunday Telegraph Michael Gove calls for moderates to join with the Conservatives to form a “new progressive alliance”. It’s hard to take such statements seriously. There’s a risk that some will conclude the Conservatives are now just trying it on to see what sort of outrageous claims they can get away with. The big question facing Labour is, of course, whether the numbers declaring their new or renewed affiliation to Labour are indicative of a broader reanimation of the left. Or are they going to be overwhelmed by the tide of soft-left social democrats, centrists and marginal voters running screaming in the opposite direction. The media has largely made up its mind: there is nothing a Corbyn Labour will be able to do that will draw in enough old or new supporters to counteract the repulsion of those to his right. And, to be frank, “those to his right” comprise an awful lot of people. I suspect it might be wise to reserve judgement on this point for a while. If you consider what the populist left has achieved electorally elsewhere in Europe then it might be better to wait and see. What it has achieved in government is, of course, a rather different matter. We will also have the question of how Corbyn will approach party leadership and whether he is prepared for its rigours. It is hard to anticipate in advance the breadth and depth of the demands on a leader. I’m sure JC has clear views on key policy matters. But they are not shared by many he will have to work with. While his victory was resounding, it is already clear that he isn’t going to get things all his own way. Is Corbyn any good when he comes down from the platform and the barnstorming speech and has to pull the levers of the organisation to make things happen? As a leader he is going to be expected not only to have views on whatever crops up, but also to articulate strategies and make decisions about a whole host of micro and macro issues in a way that takes account for the broad range of interests affected. That’s not a political point. It comes with any leadership role. It can come as a shock to discover that today you are suddenly supposed to know stuff and make intelligent decisions about things that last week weren’t your problem. Maybe he has hidden talents of this stuff and has just spent an entire career studiously avoided positions in which those talents would be utilised. You’ve got to hope so or else it could all head south pretty sharply. The biggest question of all is whether JC will reach out not only to others within his own party but also to those of other parties who wish to see the Conservatives displaced. For surely that is the ultimate goal. The recent past suggests that Labour are going to struggle to displace the Conservatives on their own. It is hard to see that a Corbyn-led party is going to be able to turn that around. Corbyn has started out by making noises about inclusive approaches, at least within the Labour party. That is surely positive. Because if the Labour party splits then that is equivalent to handing the Conservatives almost perpetual rule. On the other hand, it is not hard to find those on the left of the Labour party who see Corbyn’s election as an opportunity to settle some scores. Indeed, one prominent left wing blogger yesterday argued that now is the time not just to make sure the left wing captures the party but the time to see some Blairite heads on spikes. To talk of revenge in this way is, it seems to me, to court electoral disaster. Whether Corbyn is able and willing to corral the left’s worst tendencies towards ideological intolerance will be an important question. There is surely a market for Corbynite socialism. But it has select appeal. There may well be plenty of people who would like Britain to be fairer and more inclusive, and who think that Labour’s apeing the Conservatives’ deification of the market unleashed has been disastrous. But there is a fair distance from that stance to Corbyn’s brand of socialism. It is hard to think that, under the first past the post electoral system, even if Labour is able to solidify votes to the left that in itself will be sufficient to turn over a lot of seats. To do that there needs to be something to appeal to moderates. One of the interesting features of the commentary over the last few days is that at least some Liberal Democrats are sounding a bit more perky. After the horror show of May the party was looking at a long period in the wilderness and a painful process of rebuilding. But if the Labour party is going to vacate the centre ground then it may be that an opportunity for a political rebirth presents itself sooner rather than later. Some will dismiss that as wishful thinking. Surely there is an element of optimism. It will depend critically on how current discussions about the party’s values and beliefs develop and resolve. It is not inconceivable that if the Liberal Democrats are able to articulate a much clearer sense of identity in the post-Clegg era, and to demonstrate to voters that this represents an attractive and enlightened alternative to the continuation of the Conservatives’ divisive politics and erosion of the institutional fabric of our society, then that may gain some traction. But there is plenty of work to do before anyone could sensibly conclude that the Liberal Democrat patient is on the road to recovery. Does Corbyn’s election make civil relations between Labour and the Liberal Democrats more or less likely? Is there significance in the fact that Tim Farron was also prominent at the refugee march yesterday? Will the points of shared concern now become more evident? No doubt many of these issues will becoming clearer over the next few weeks. Conference season could be intriguing this year. I’m afraid it’s not likely to mean much for the Lib Dems either way. Their problems remain that (1) they have deeply alienated many of their former supporters and (2) whatever they say and whatever they decide they’re going to stand for, in their present minuscule condition few people will notice. On the LibDems, contra Chris I think this is a big opportunity – on two fronts. 1) Even with Liz Kendall (for example) it was very unlikely that Labour would win enough seats to get a majority. I’d judge that in many ways it is even less likely with Corbyn. However, I can suspect that the Corbyn bloc is more open to electoral reform. And a bit of a LibDem revival and some small electoral progress from Labour in 2020 could well create a parliamentary coalition with the votes to push through a change to FPTP. If this could be turned into some informal tactical voting/campaigning pact, it could be decisive. 2) There will be both voters and politicians who are both anti-Tory and anti-Corbyn (and not natural Greens) – the LibDems and UKIP may both benefit from this – and they are pretty clearly going after different voters. Add in that the media animus to Corbyn will likely lead to a number of media figures promoting the LibDems as an alternative. (Such false friends are not to be trusted, but will likely mean the LibDems get more media attention than their number of MPs would warrant.) All this can be parlayed into a LibDem revival. Organisational leadership is going to be key. 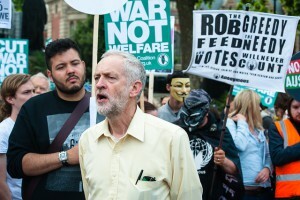 On the bright side, it doesn’t all have to come from Corbyn – much of it can be delegated. On the down side, it’s not clear that the party has a great depth of talent to delegate to – all the more so since some of the talent may refuse to work with Corbyn. Further of course, he’s never been an “organisation man” so as you say, it’s hard to believe he has all the talent and experience for that side of the job. One thing in his favour (and I’ve remarked on this before) is that he (unlike his competitors for the post) seems to take some really important issues seriously. Housing would be one of those. I may not agree with his solutions, but it seems certainly possible that in just being prepared to take on issues like this he can put the Conservative government under a pressure it has not had to deal with before. In my view the last thing we want is for the Liberal Democrats to occupy the allegedly vacant centre ground. Most of Corbyn’s positions are sensible and compatible with ours. We need to offer to work with him, bringing to the partnership our commitment to proportional representation by single transferable vote in multi-member constituencies, workplace democracy, land value taxation and enthusiasm for the EU. Farron should be on the phone now.